If you’re interested in working with me then feel free to drop me an email at lucycole97@gmail.com to request my social media kit, stats and more information. I’m currently based in Ipswich, UK and my blog covers a range of topics – most commonly fashion, beauty and lifestyle, but also travel, food and more from time to time. I accept products for review, as well as sponsored posts, and fees will depend on what is required and in what timeframe, email me for a chat to discuss! 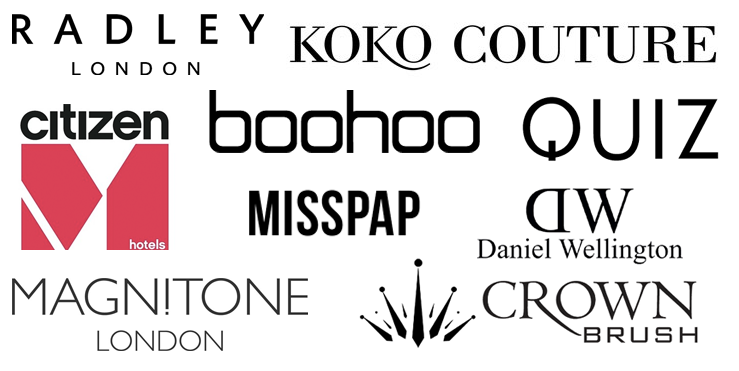 Brands I’ve worked with include..